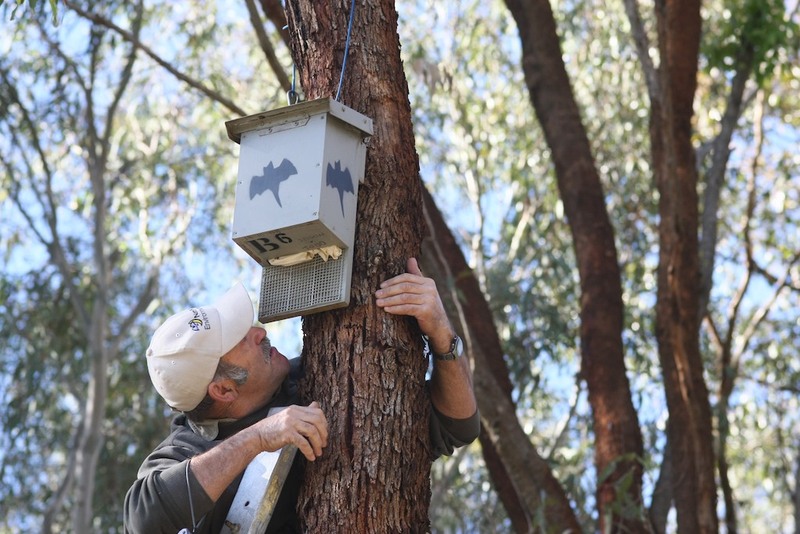 ← Secret tip for building bat boxes….. This entry was posted in All and tagged bat tour, Bats in Perth, Bats in WA. Bookmark the permalink. is there a snake in the ”cover photo” of the go-batty page?..top right hand corner..
Bingo, well done Ryan. You are very observant. I was wondering when someone see the little critter. It’s not a snake but a Marbled Gecko. Member of the lizard family. Beautiful little thing. Totally harmless. The bats live with it in harmony. I think the Gecko eats the mites that hang around in the box.